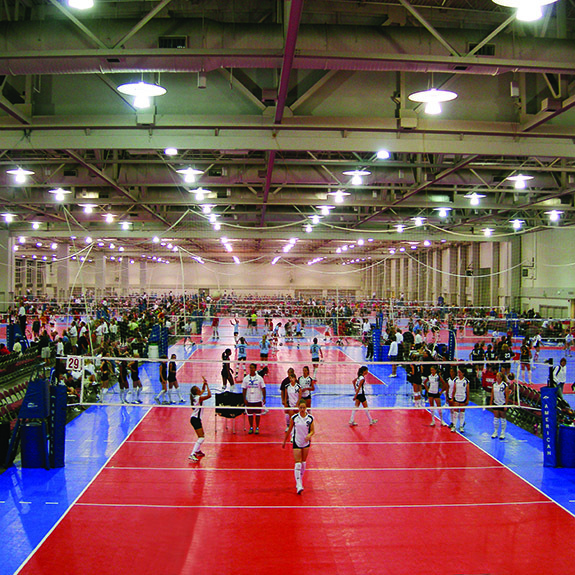 Response HG™ is tested by the champions of the NCAA® volleyball and USA National volleyball teams. As the official playing surface for these championships, the Response™ provides superior performance, traction, and shock absorption suitable for all level of sports. The low life-cycle costs will save you money and flooring installation can take as little as three days. If you’re looking for the best in class when it comes to comfort and active play, you’ve found it in the Defense™ sports flooring. 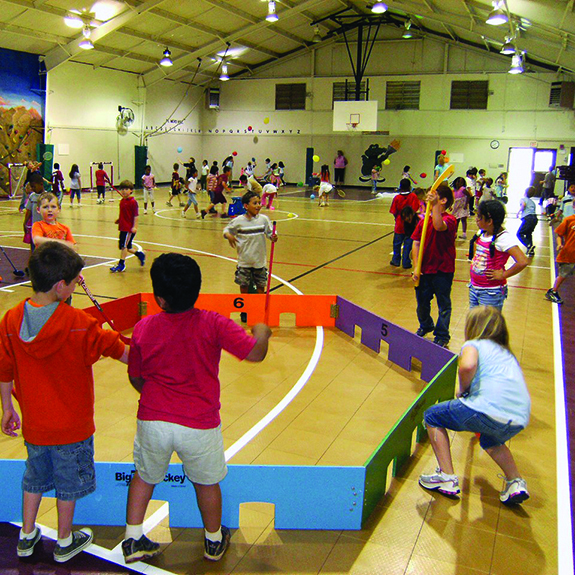 Elementary schools, middle schools and activity centers benefit from the low costs and quick installations, allowing facilities to be up and running in no time. 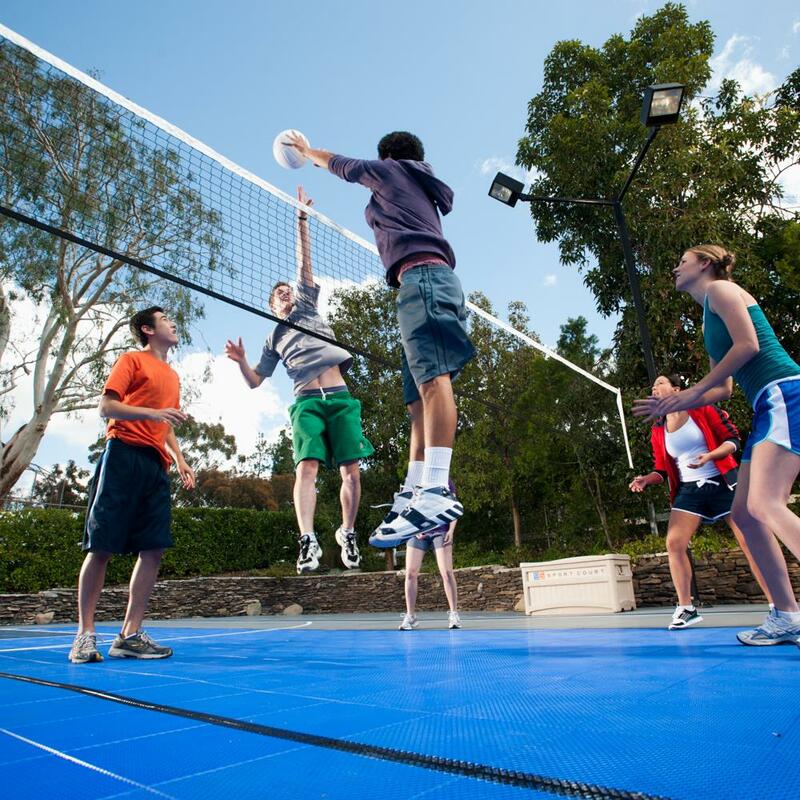 When you think about the safest outdoor court in the world, high quality materials, UV stabilizers, and low-skin abrasion should come to mind. The PowerGame™ packs all these features, as well as the patented Double-Tier shock absorbing grid and Lateral Forgiveness™. Help your family play longer and safer with this flooring, which reduces joint strain and fatigue. This patent-pending design gives athletes the safe play they desire. Low abrasion and excellent traction are where the Sport Game™ shows off its advanced athletic surface technology. 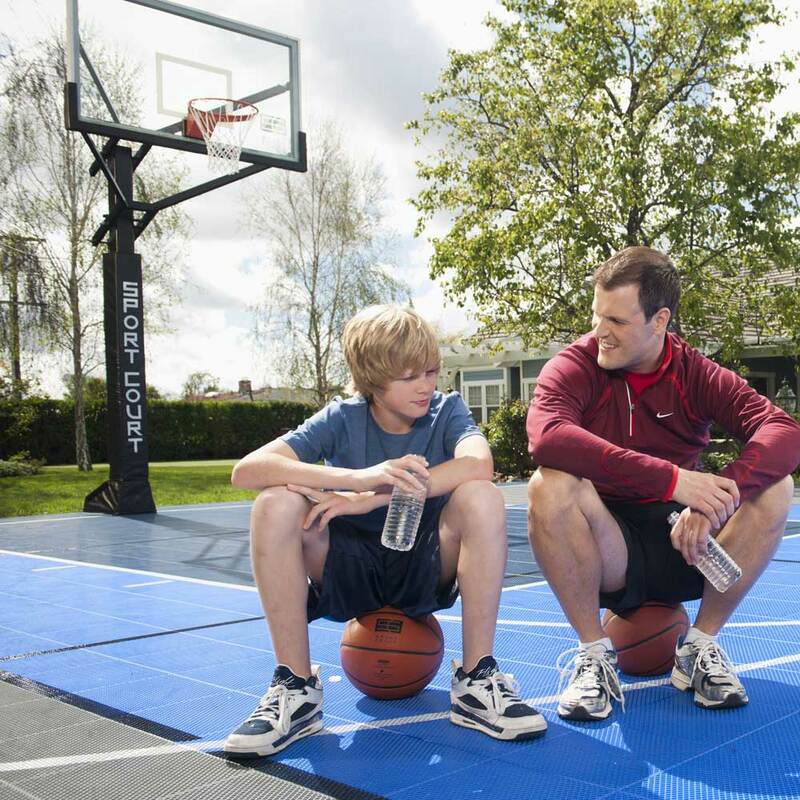 The Lateral Forgiveness™ helps reduce joint stress and fatigue, making it an excellent surface for multi-sport play. No need to sacrifice ball bounce and response. For nearly two decades, Sport Deck™ has been the court king of outdoor racquet sports. 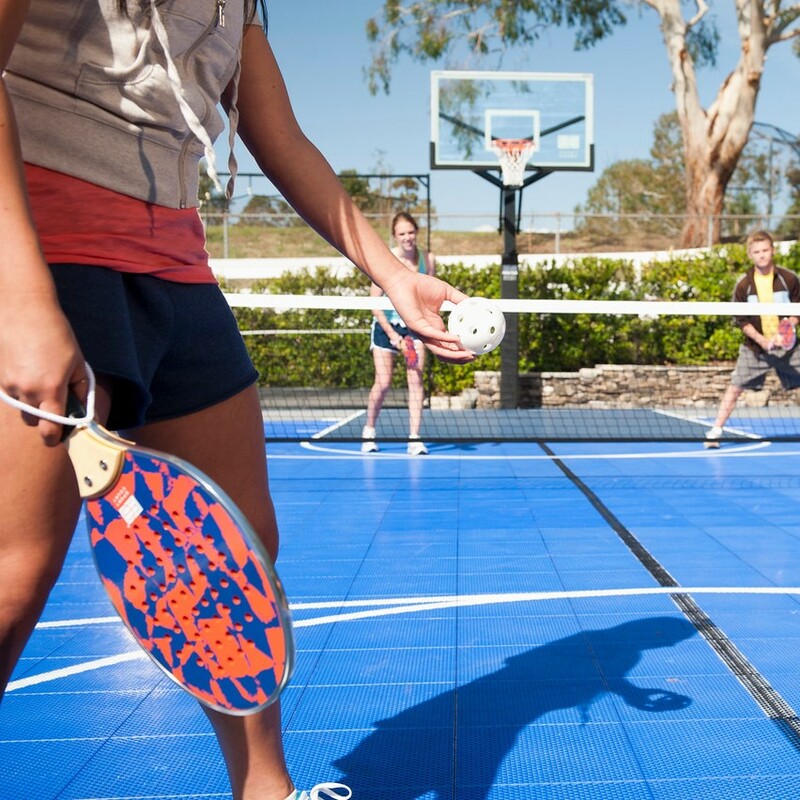 Providing excellent ball control and pace of play are just some of the amazing features you can get from Sport Deck™. Patented Lateral Forgiveness™ reduces joint stress and fatigue for players of all abilities. This surface was designed to retrofit over most hard surfaces, outlasting acrylic floors. 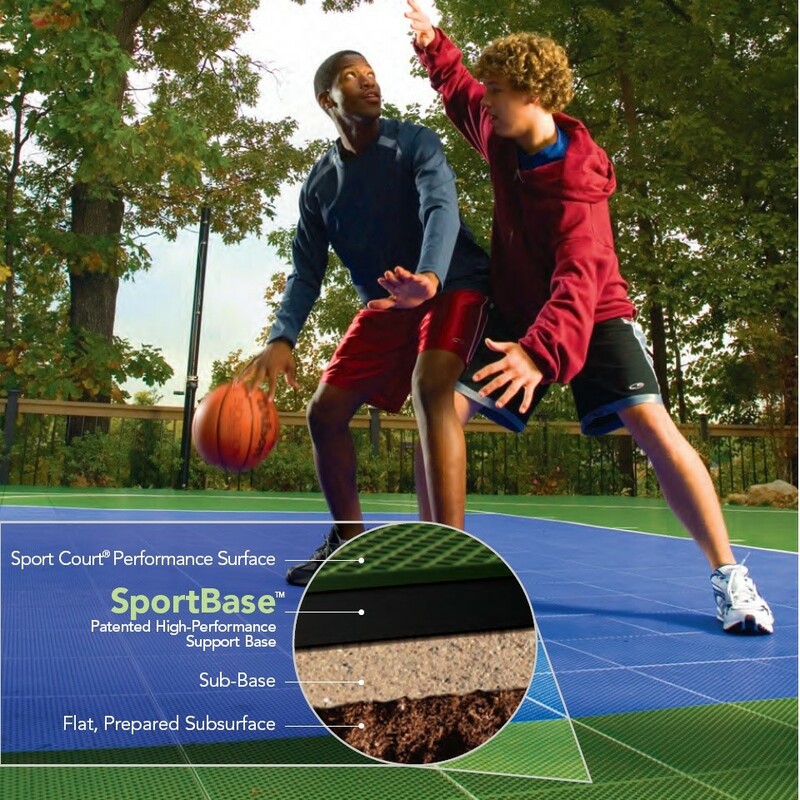 Ditch the concrete with 100% recycled flooring from Sport Base™. This high-performing concrete replacement shows that it’s what’s underneath that counts, being specifically engineered for use under a game court system. 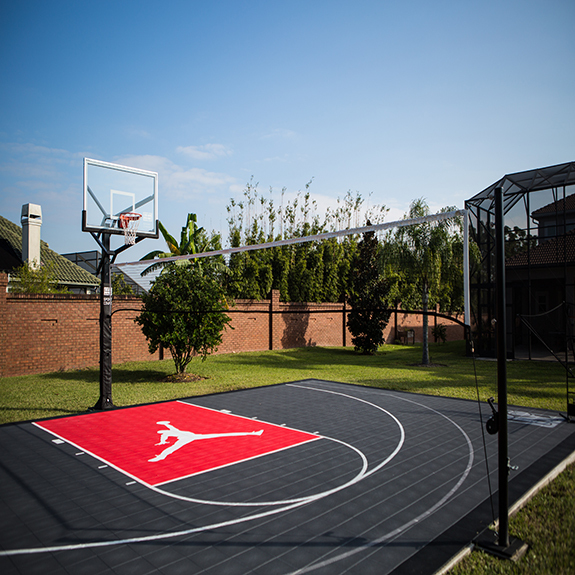 This professionally designed, quality in-ground basketball hoop system ensures the best performance and safety. 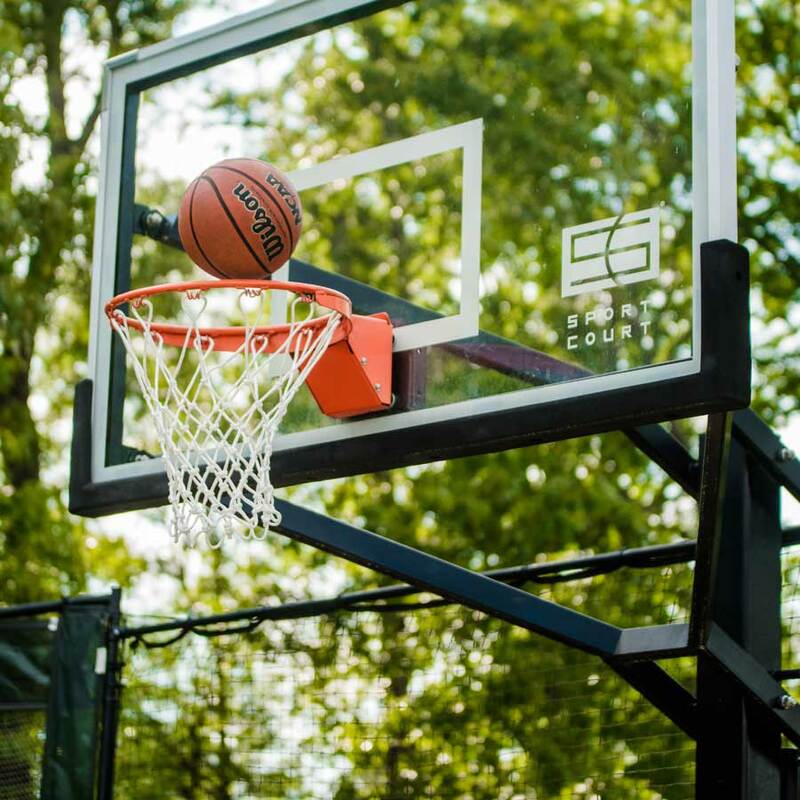 The slam system developed by Sport Court™ offers superior corrosion protection and an advanced height adjustment system for players of all ages. 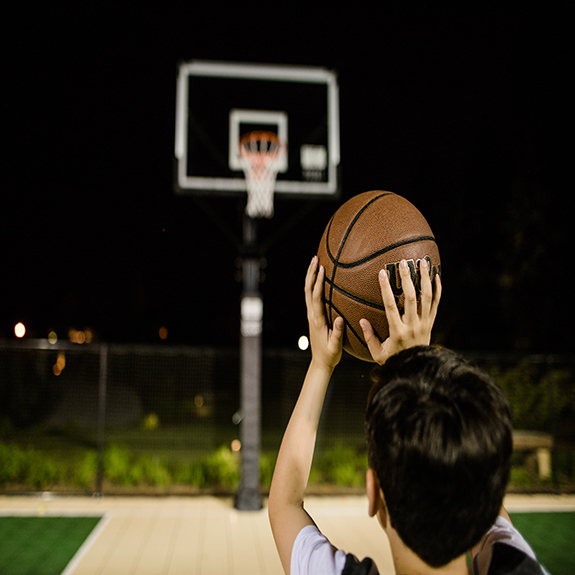 If you’re looking for pro-level ball rebound, tempered glass backboards have you covered. Backboard and pole pads provide increased safety. The fun doesn’t end after dark. 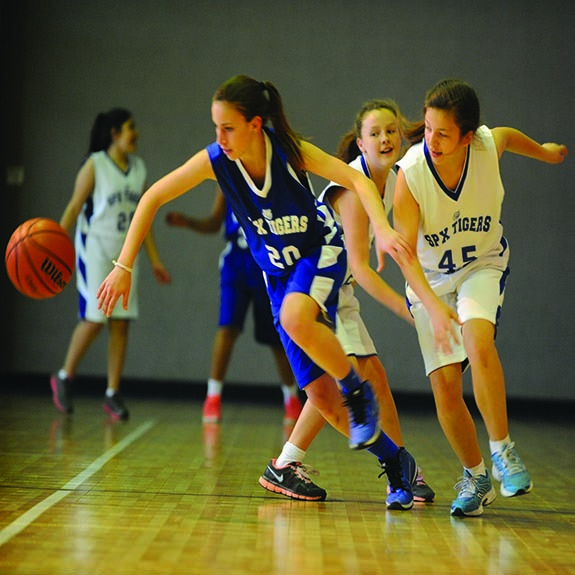 Our Sport CourtTM light system allows athletes to choose between single or double headed light solutions. No need to spend valuable training time chasing after the ball, 10x10 and 10x20 rebounders have you covered. Your local CourtBuilderTM can incorporate these features on your court for a more enjoyable tennis, soccer and baseball training experience. 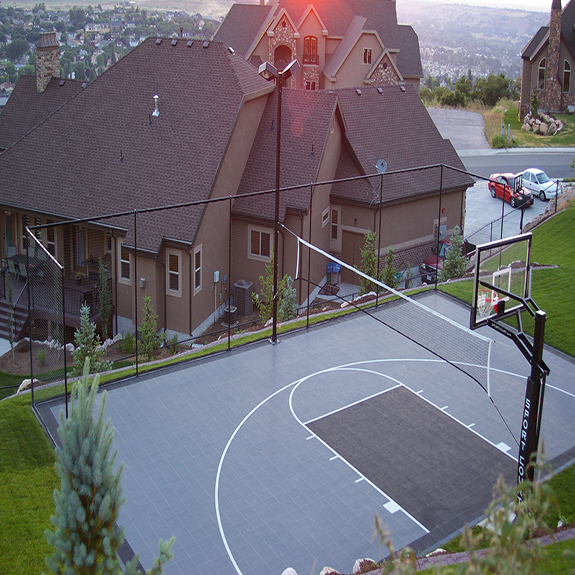 Need a court to accommodate various sporting needs? Try the intuitively constructed multi-purpose net system. Never worry about having to choose between a tennis net or a volleyball net with our simple pulley and crank system. Position the net at your desired position for either volleyball, tennis or badminton within minutes. Soft-fence netting has never looked so good. 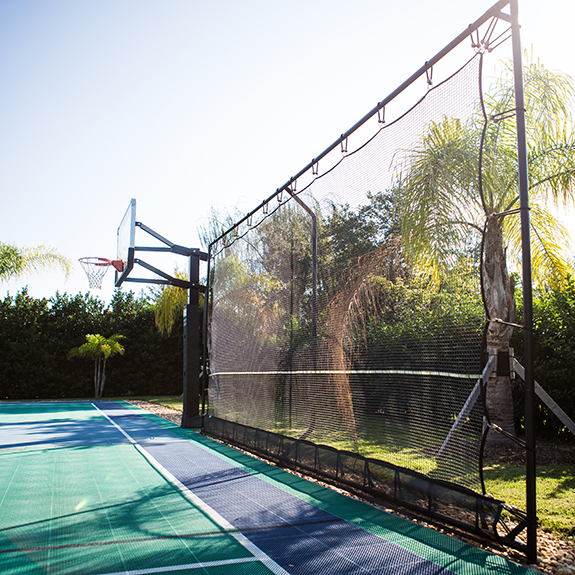 Add some style to your court without overspending on permanent chain-link fencing. This unique fencing option will keep your ball on the court and in the game. 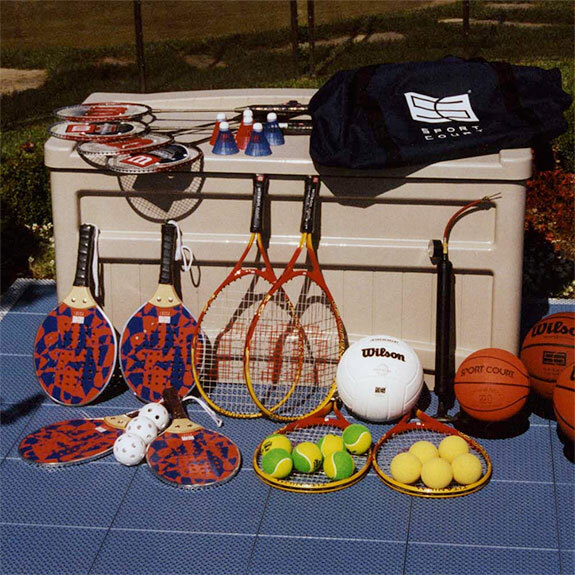 Everything you need to enjoy your backyard court can be found in Sport CourtTM of the Ozark’s Fun PacksTM. From the highest-quality balls to pristine racquets, you’ll be prepared for any sport.